Product prices and availability are accurate as of 2019-04-23 06:20:01 UTC and are subject to change. Any price and availability information displayed on http://www.amazon.com/ at the time of purchase will apply to the purchase of this product. With her fiancè thousands of miles away serving his country in Korea, Maggie Perot suddenly finds herself in the worst predicament possible. With nowhere to turn, and no money to support herself, what is she going to do? Petite Rose is a captivating novel set in 1954 and modern day Natchitoches, Louisiana. The third book in a series, it stands on its own as a heart-stirring love story with a heart-wrenching family secret. An emotional and enjoyable read with engaging characters. Author Ann Marie Jameson has found an interesting way to have her readers feel they’re part of the Petite Rose family as she transports characters and readers alike back and forth between background and current day until the two unite. An enjoyable page-turning journey. 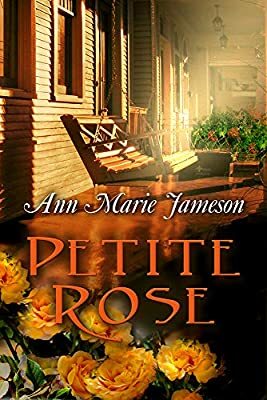 Family secrets, interrupted plans and surprise unveilings make Ann Marie Jameson’s Petite Rose a compelling read. Jameson’s cozy mystery, set in Louisiana’s Cajun country, alternates between past and present as recent discoveries lay the past bare. Young Margaret Perot has fallen in love with Jack Bordelon and agreed to become his wife. History interrupts their plans when Jack is sent to Korea in 1954. The actions of the young couple form the basis for a mystery to be solved by their descendants in 2016. Through old correspondence and the testimony of elderly relatives, the children of Margaret and Jack work through the tangled past to solve a tragic puzzle. Can they find the answers before the witnesses pass on? Jameson brings a rich cast of characters into the story. As the third volume of her series set around the Perot and Bordelon families, Petite Rose brings the characters full circle, although the story stands alone quite nicely. Explore the steamy intrigue of south Louisiana with Ann Marie Jameson. You may decide to stay awhile in the welcoming neighborhood. Author of The (LOL)4 Mysteries, Devotions from the Road of Life series, Cypress Point Confidences. Ann Marie Jameson was born in New Orleans, Louisiana and grew up in Monroe, Louisiana. While she has lived in various area of the state over the years, she now she calls Hammond, Louisiana her home. She has a BA from Northeast Louisiana University in Monroe, and a Master’s from the University of New Orleans. She is a retired special education teacher and is married with three sons, one stepson, and eight grandchildren. Ann Marie became an avid reader at the young age of nine and began writing poems and short stories in high school. Her first work to be published was a poem she wrote as a teenager as a tribute to her father. The poem was featured in her local newspaper for Father’s Day. The first book Ann Marie had published was a children’s book which was released in 2003. After taking several years off from writing to care for her elderly parents, Ann Marie returned to writing but this time as a novelist. Her first novel, titled A Bed of Roses, was released in 2016. Spurred on by fan support, Ann Marie continued writing what she later titled her “Willow Rose Series.” The second book, Belle Rose, was released in 2017, and now, Petite Rose completes the series.